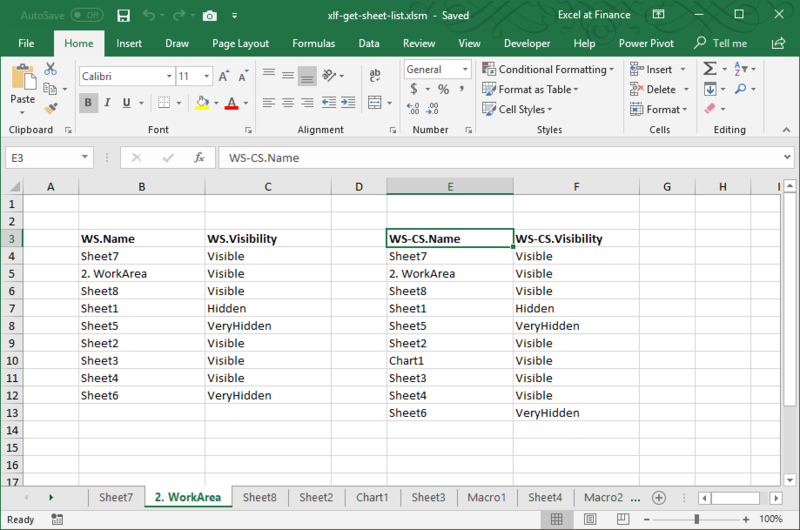 GetWSheetList prints a list a Worksheet names and visibility status to the active cell. Chartsheets, as well as macro sheets & dialog sheets are ignored. See the example in figure 1. Version 1 loops through the Worksheets collection using a For Each...Next loop. Version 2 counts the items in the Worksheets collection, then uses a For...Next loop. This version returns a list of Worksheets and Chartsheets.